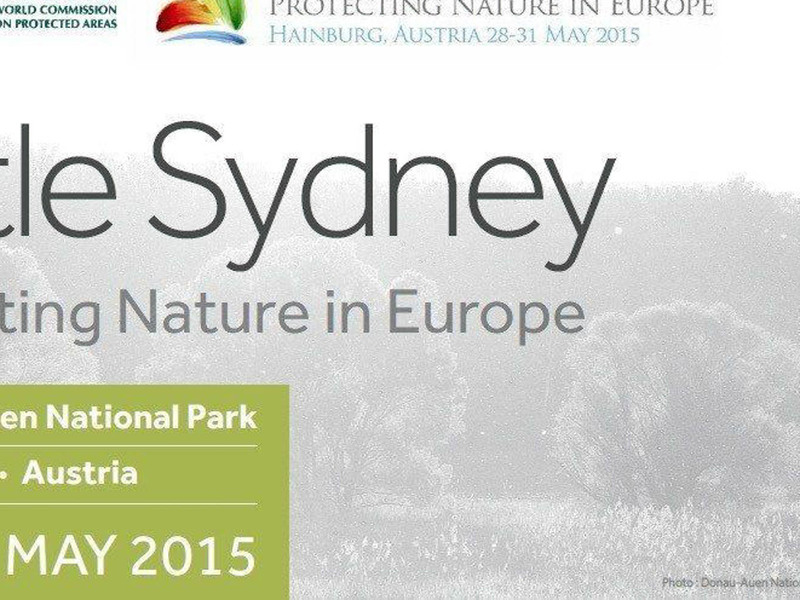 Little Sydney - Protecting Nature in Europe 28-31.5. IUCN and the IUCN World Commission on Protected Areas (WCPA), in conjunction with the Austrian Federal Ministry of Agriculture, Forestry, Environment and Water, and the Donau-Auen National Park, will organize a conference entitled “Little Sydney: Protecting Nature in Europe”. The conference will be held in Hainburg/Donau-Auen National Park, Austria from 28-31 May 2015. “Little Sydney” builds on the outcomes of the recent major global event on protected areas: the IUCN World Parks Congress 2014 (WPC), held in Sydney in November 2014, and which resulted in the Promise of Sydney. Some 300 participants from all over Europe will gather and explore further the outcomes of the WPC Streams and Cross-Cutting Themes of particular relevance for Europe. Key WPC findings will be presented and discussed during plenary, and workshop sessions will be organized around four main themes: Reaching Conservation Goals, Supporting Human Life, Influencing Policy and Institutional Responses, and Partnerships, Governance, Capacity Development and Mobilisation of Resources. Both the plenary and workshop sessions will be designed to maximize the quality of outputs with a view to developing a road map for protected areas in Europe. Hi Ron, not that we know off. But check the website, we had a radio interview for one hour today. Are there live videos from Little Sydney? Is there an agenda or list of participants? Right after the European Day of Parks!